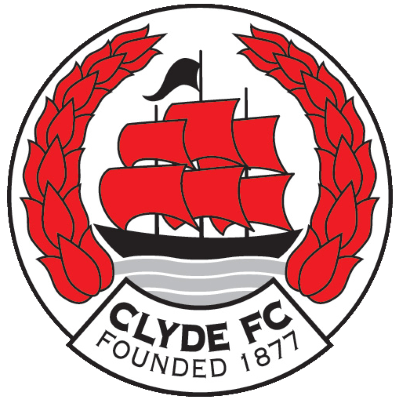 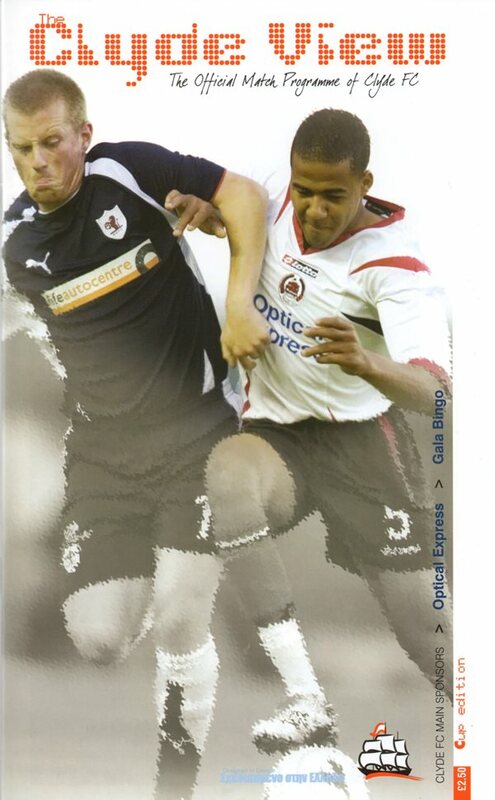 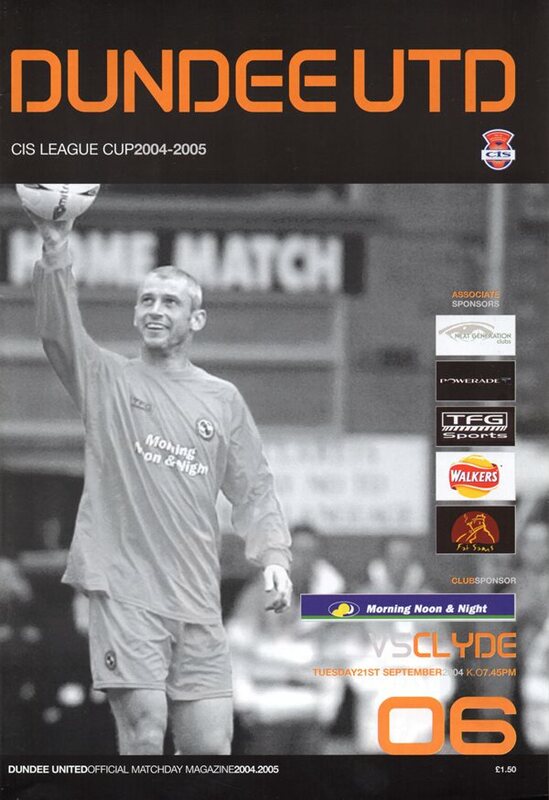 Clyde Football Club are a Scottish professional football team formed in 1877. 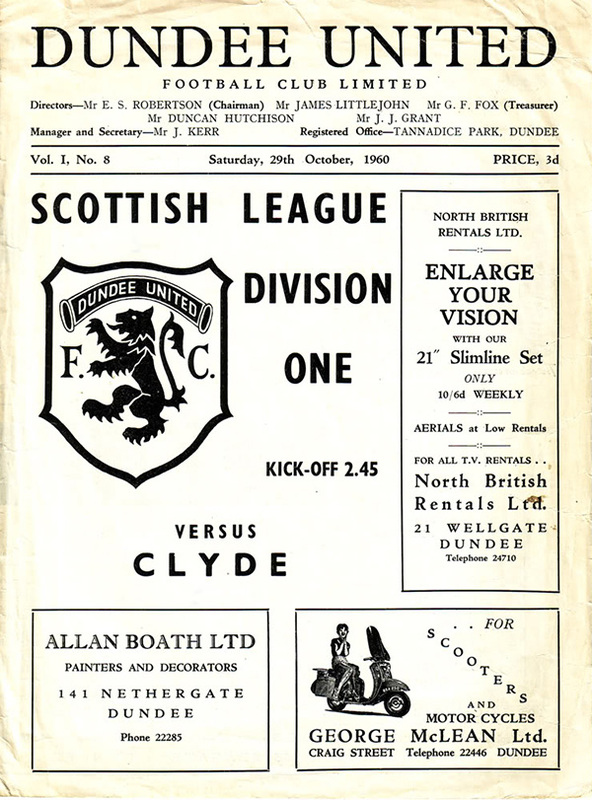 Although based in recent years in the new town of Cumbernauld, they are traditionally associated with an area that covers Rutherglen in South Lanarkshire and south east Glasgow. 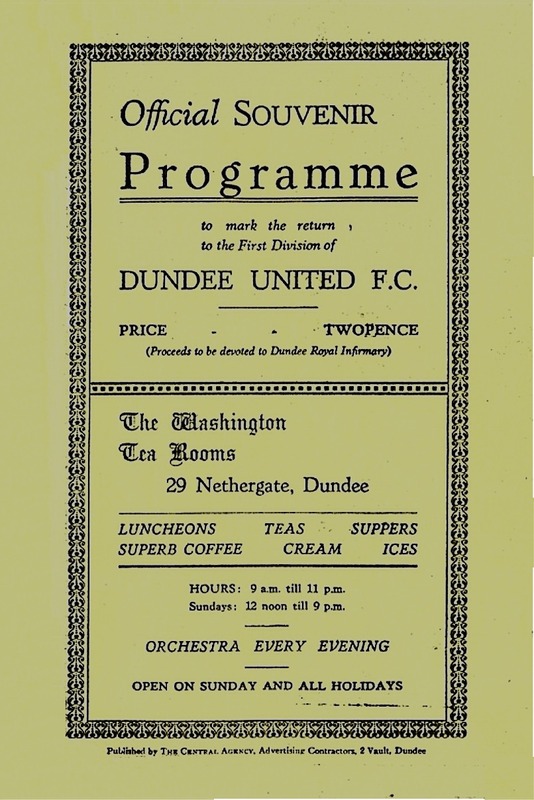 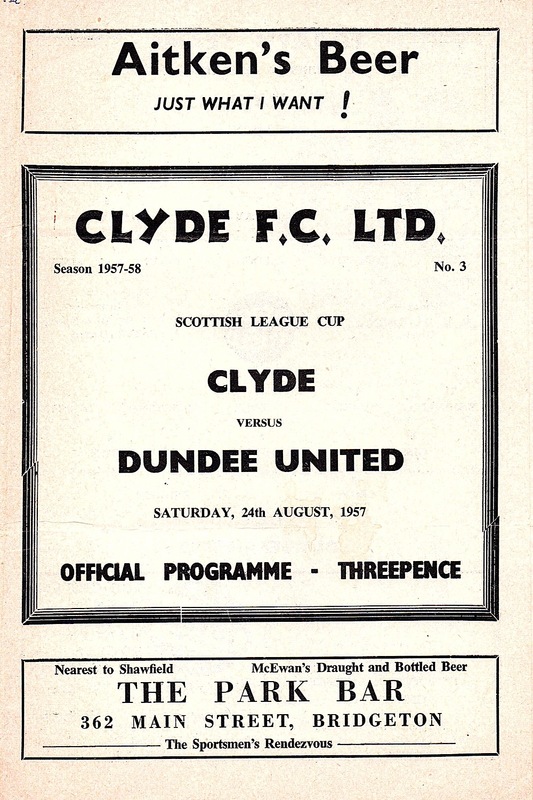 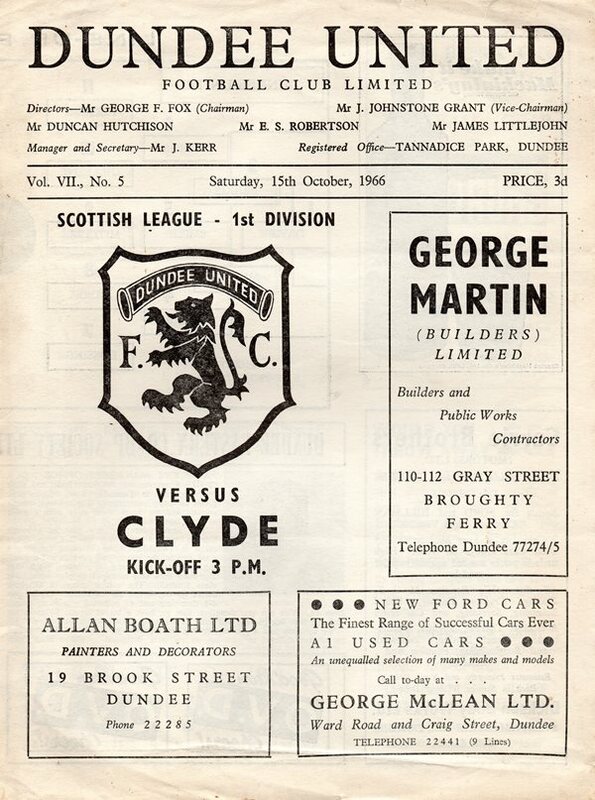 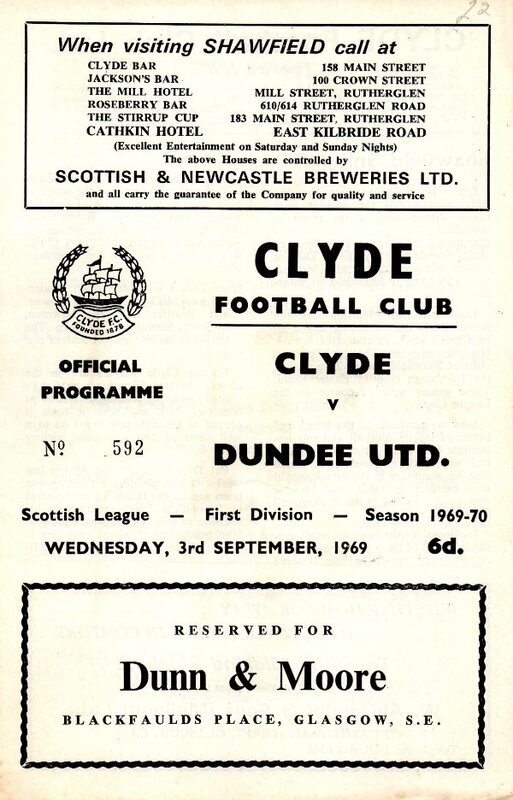 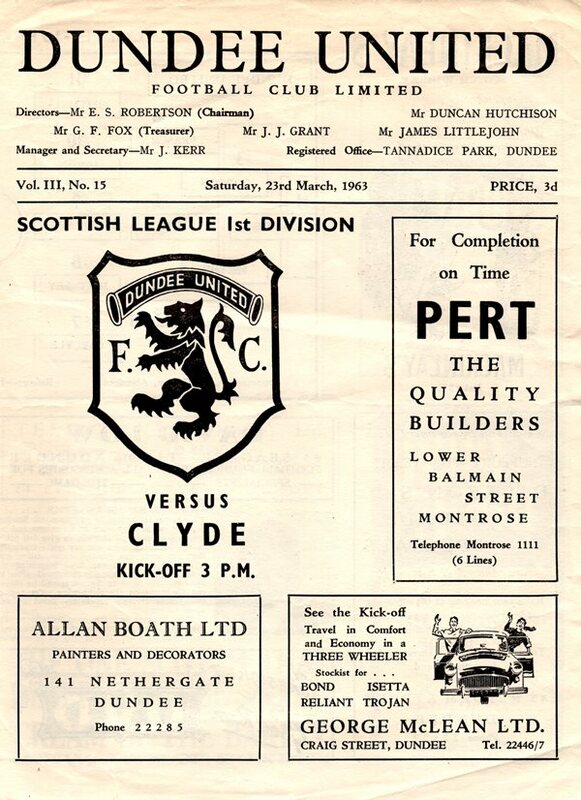 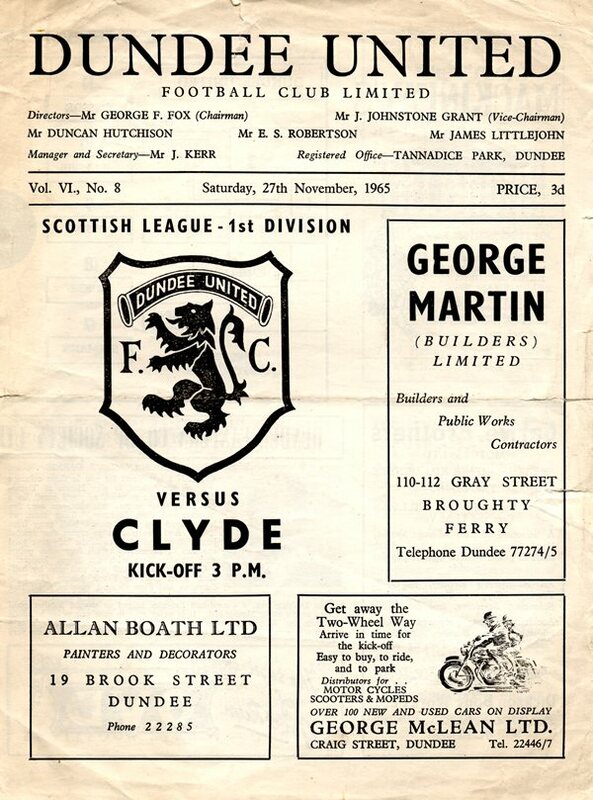 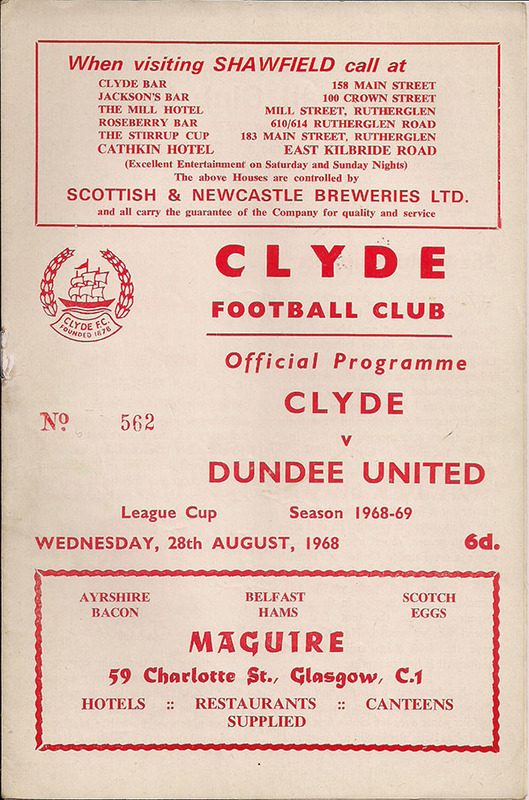 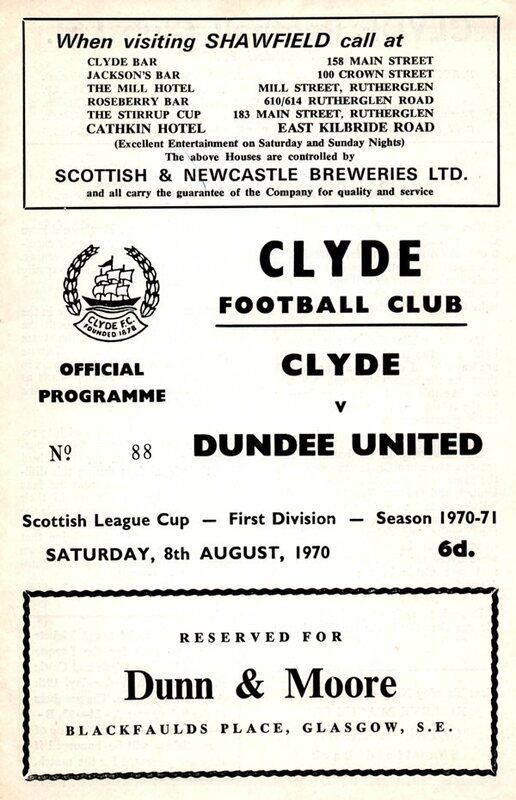 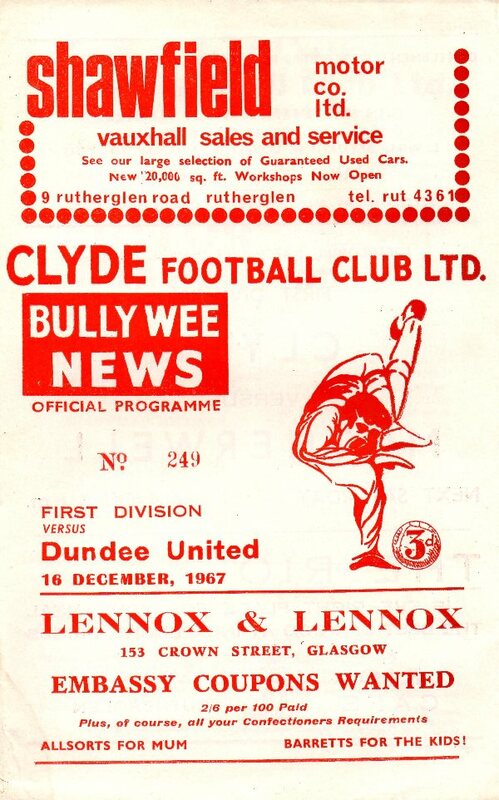 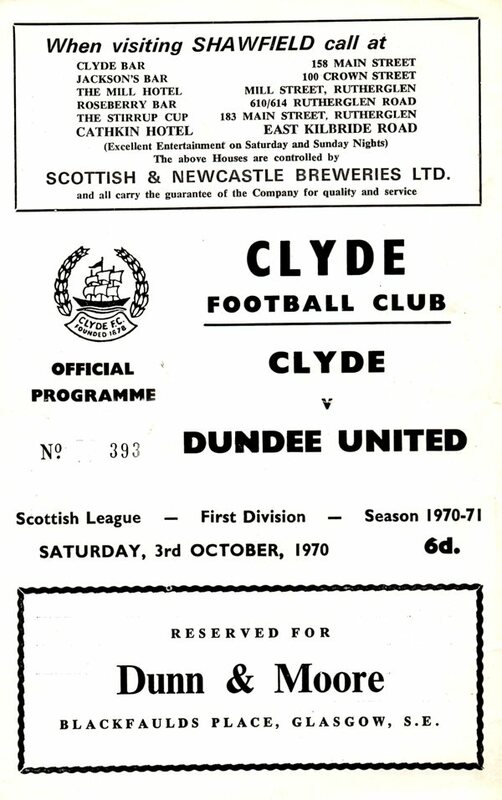 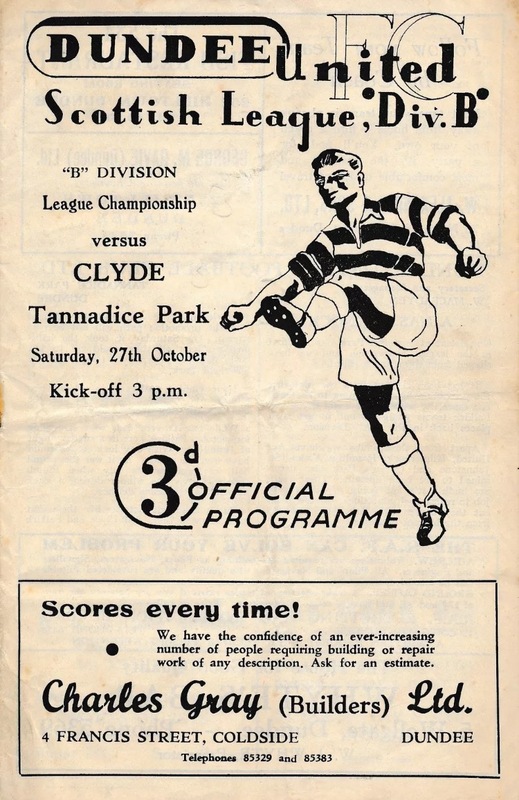 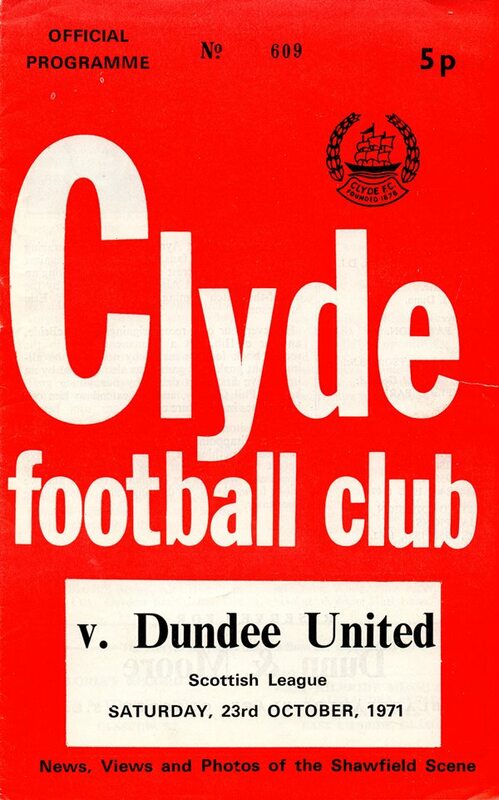 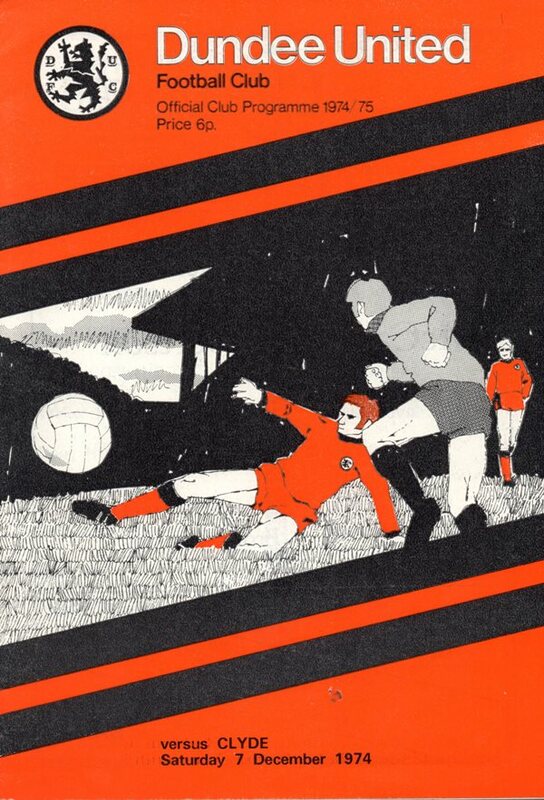 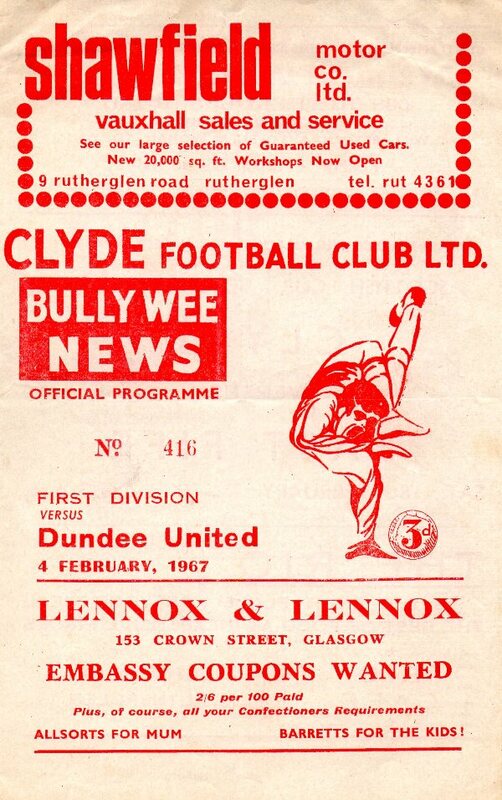 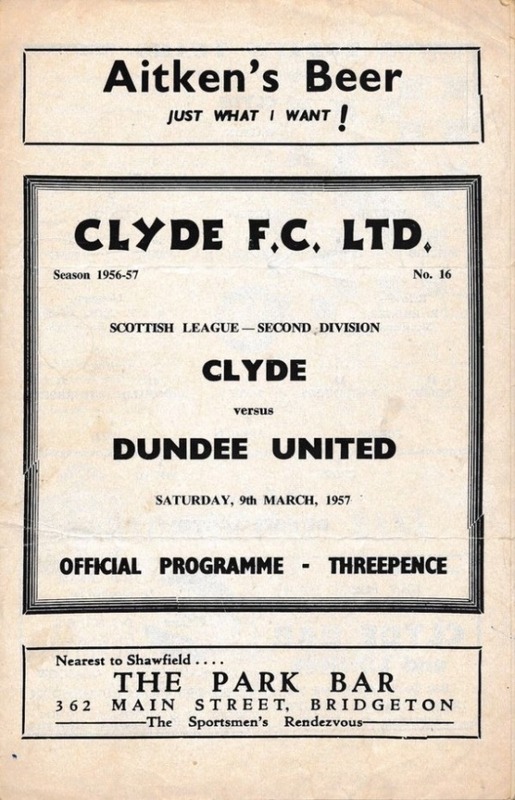 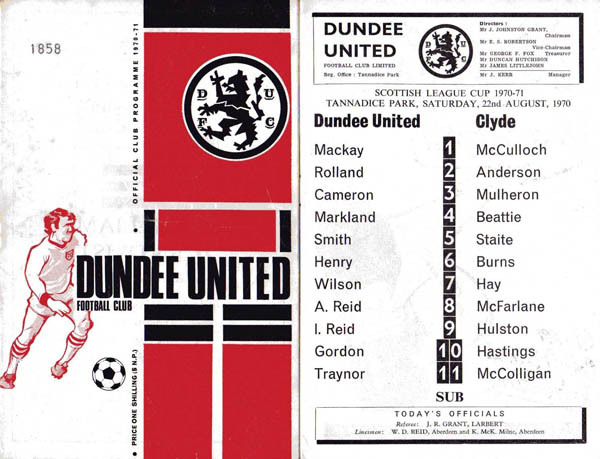 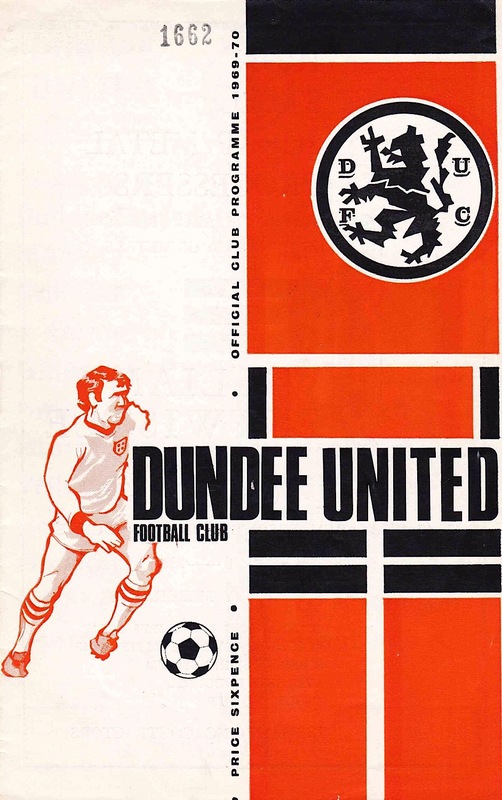 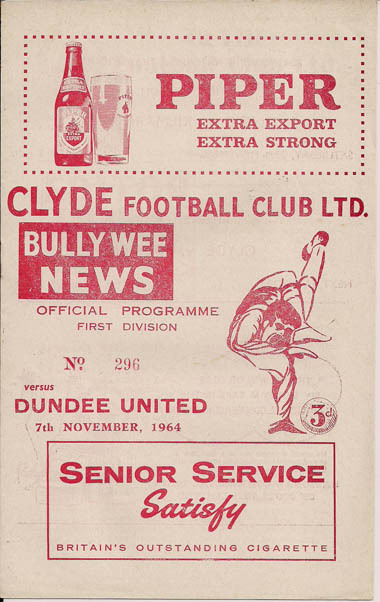 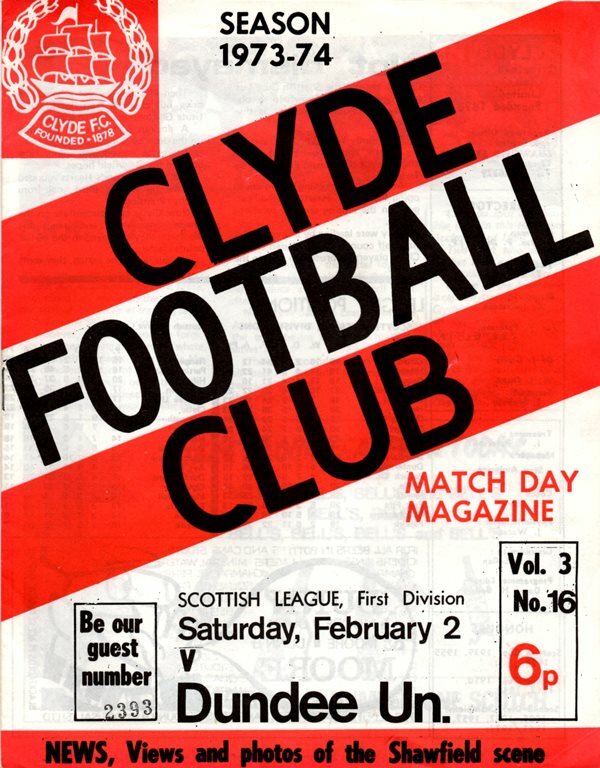 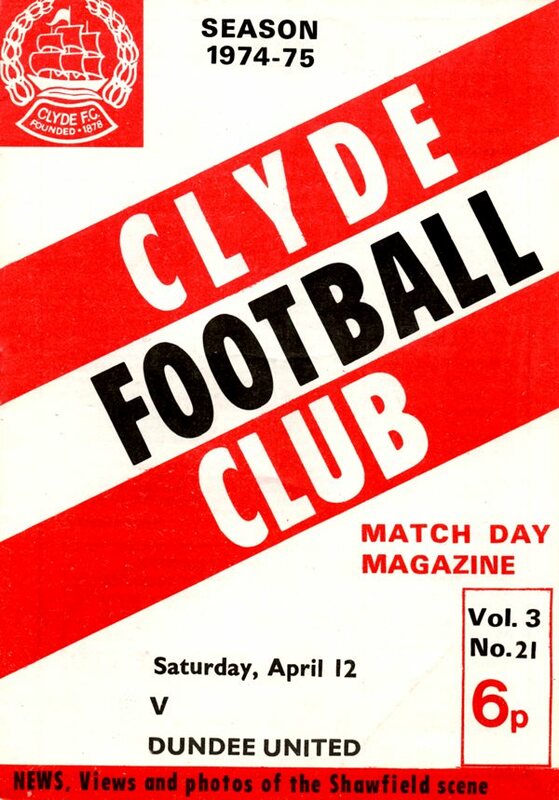 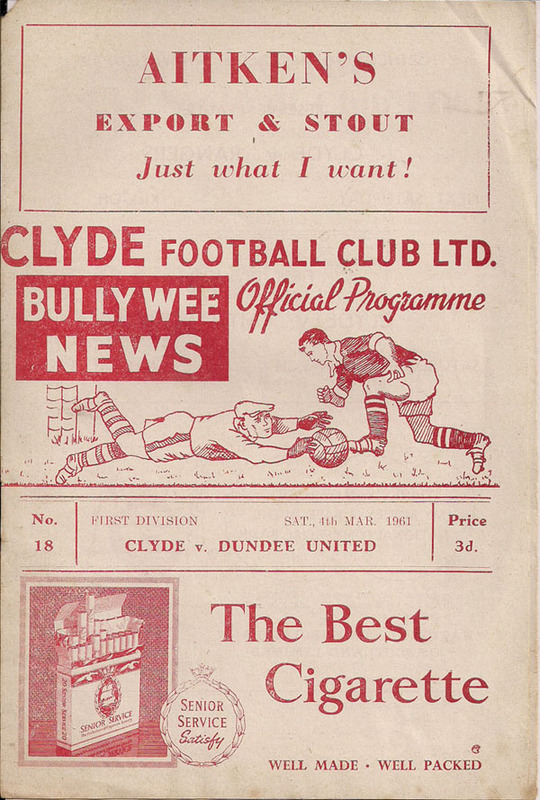 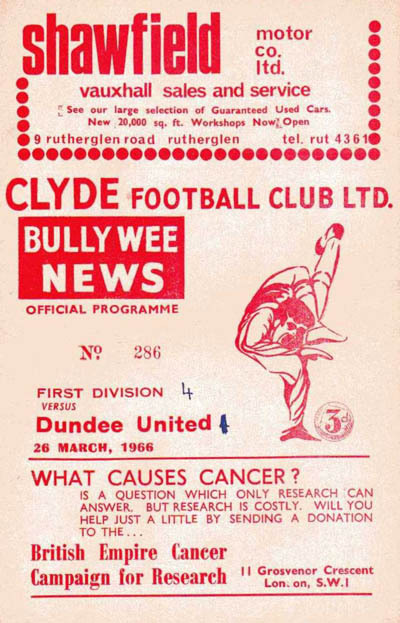 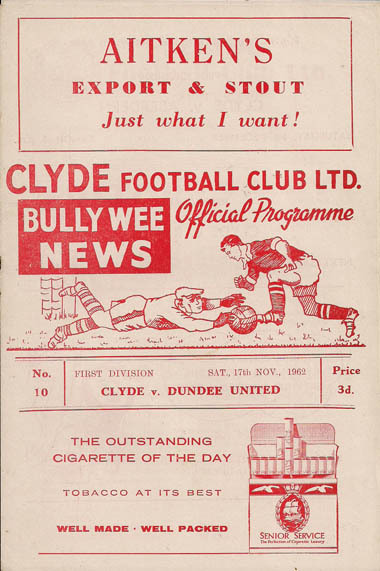 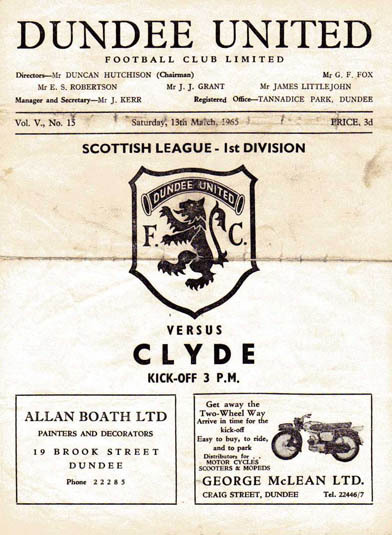 United first played Clyde in August 1924. 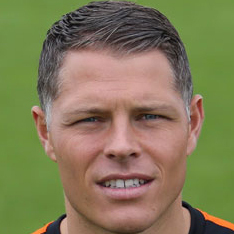 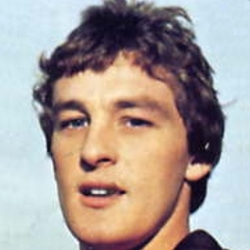 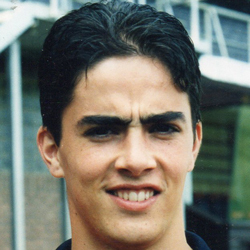 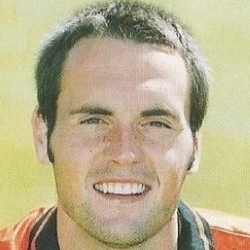 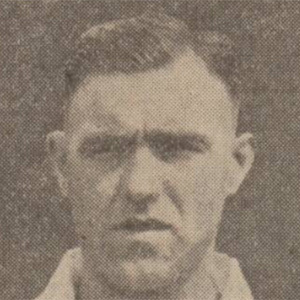 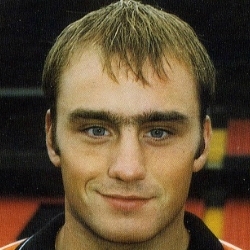 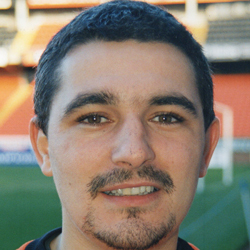 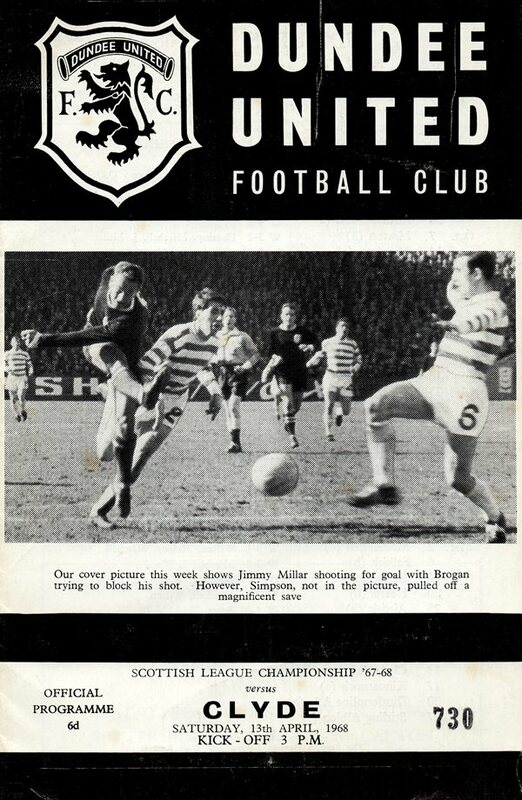 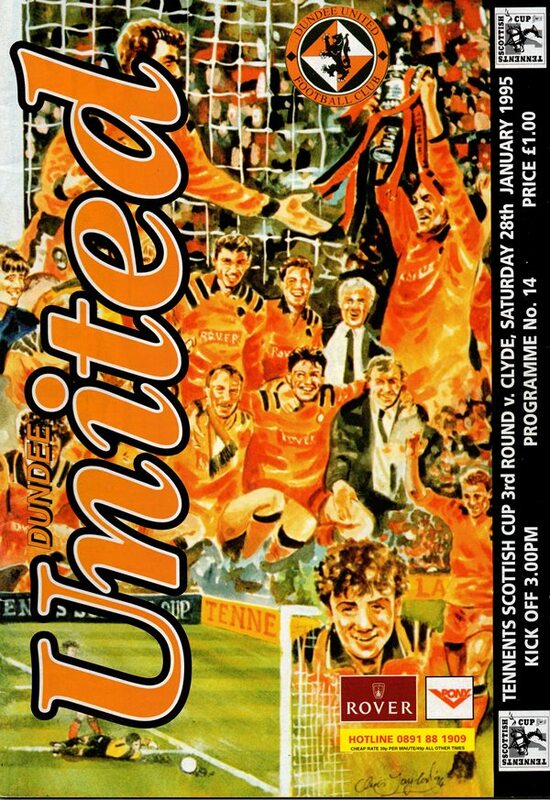 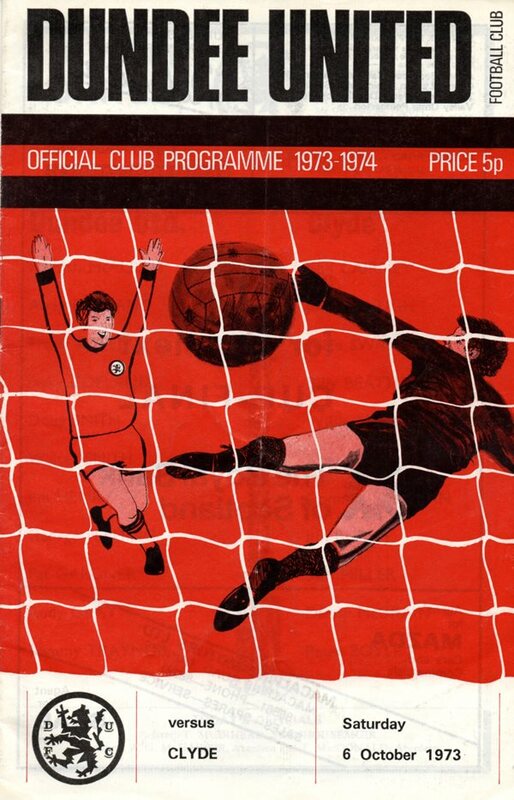 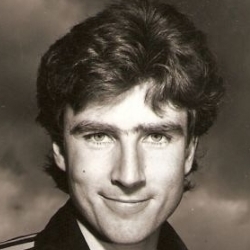 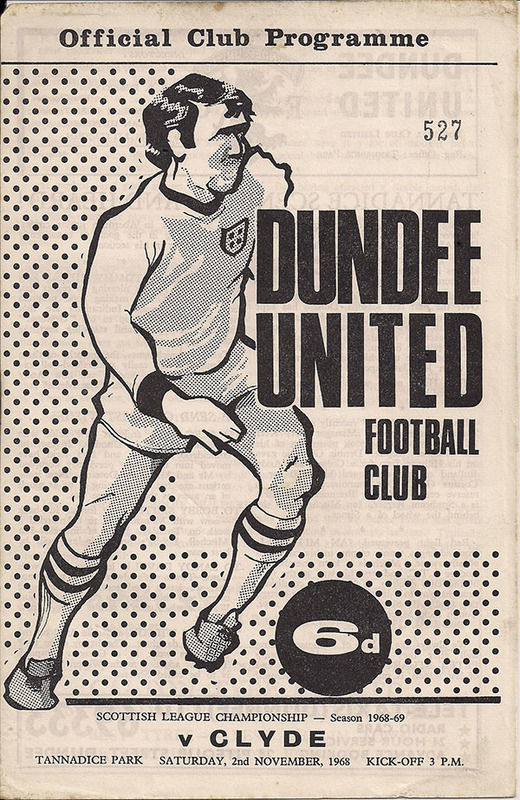 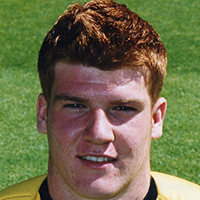 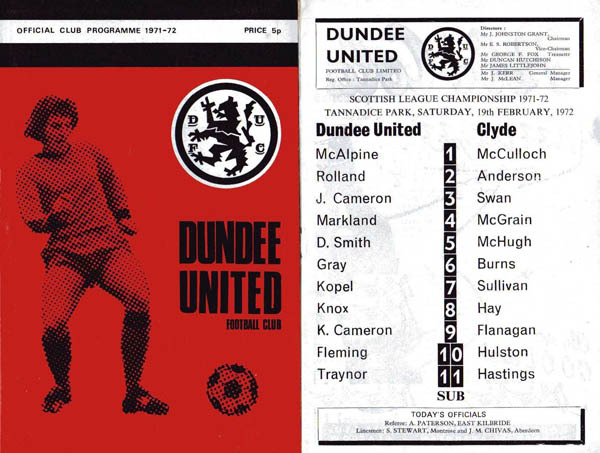 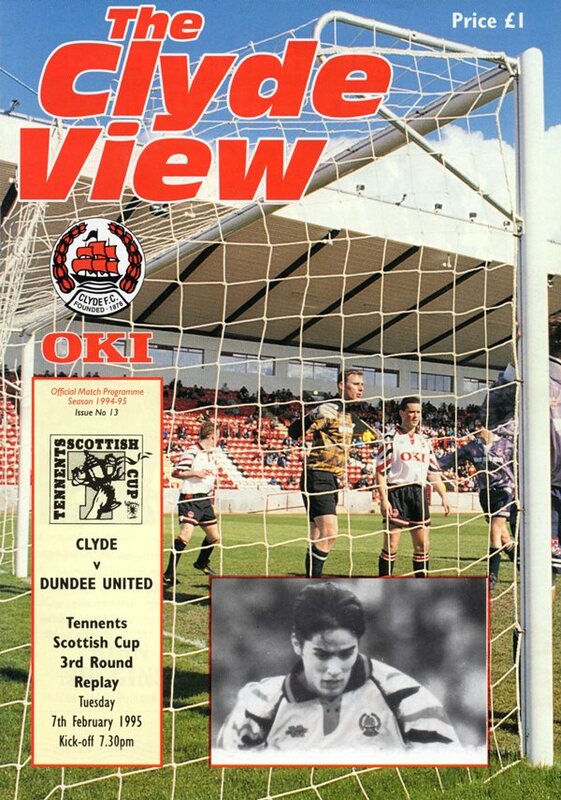 Many famous United players have run down their careers at Clyde with Winters, McSwegan and Charlie Miller all having played for both clubs.